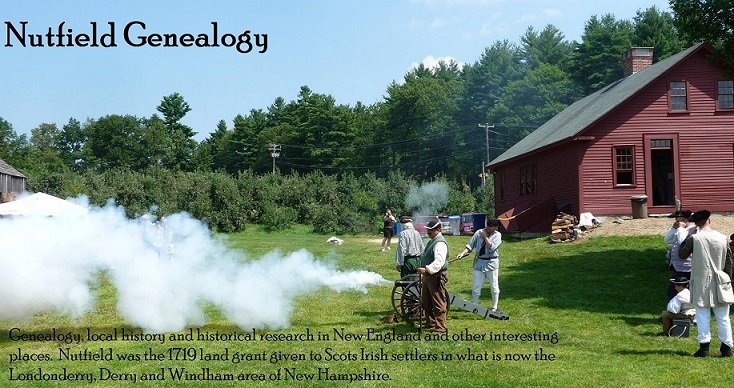 Last week the Windham Historical Society sponsored their 20th History Mystery Tour. Last year the tour focused on the War of 1812 around Windham, another year was ghost stories, or the Civil War. This year the theme was “On the Beach”. Again, the tour started at the Armstrong Building, where the Historical Society Museum is located. All the tour participants were given a lovely book describing the many, many beaches on Cobbett’s Pond . Some of these beaches are now gone, and many are a distant memory. Since it was raining, we listened to lots of stories and information about the beaches before heading out into the weather to tour three of the beaches that are still functioning swimming holes. Just like previous years, every participant was also given a great book of information on the tour, including maps, historical sources, reprints of articles, old and new photos and historical information. The beaches described included Hadley’s Beach (now the Windham Town Beach), Community Beach, Dunkan’s Beach, Armstrong Beach and Bella Vista, among others. We also heard the natural history and local history about Cobbett’s pond, and how it was named for the first minister, Rev. Thomas Cobbett, born in Newbury, England in 1608. Hence the name “Ministerial Road” heading from the Cemetery on the Plains down towards Community Beach. In the late 1900s and early 20th century, private beaches were popular on Cobbett’s Pond, and all over New England, for local people and for Bostonians and other urban dwellers seeking to escape the heat of the cities. Most of the beaches described above were private, and charged patrons a fee to come swim and enjoy the pond for fishing and boating. There were also two dance halls in Windham, one on Cobbett’s Pond and one on the Windham end of Canobie Lake (not inside the amusement park). Dance halls were popular places in those days. The best part of the Mystery Tour was hearing the stories and reminiscing about the beaches and the cottages on Cobbett’s Pond. My favorite story was about the Italian immigrant families who patronized Duncan’s beach. In the 1930s and 1940s produce trucks would arrive early in the morning from Boston, open their doors and three generations of an Italian family would spill out onto Duncan’s Beach. They would unload Nonna, her rocking chair, and all the fixings for a large mid-day meal. The family would enjoy the cool water and the day outside of the hot tenements of Boston’s North End, and Nonna would stir the sauce, never leaving the rocking chair. These families would be the first to arrive and the last to leave on hot summer days. It was so much fun hearing these stories, I could picture all the Nonna’s sitting in the shade at Dunkan’s Beach! Another fun story was to hear the origins of Community Beach. In 1929 the land nearby was divided into 100’ x 100’ lots. The waterfront lots sold for $50, backlots sold for $20. Since the backlots did not sell, a promotion was started in the Boston area to give away lots for coupons off cases of tea or coffee. These house lots became known as “Coffee Lots”. By 1934 twenty cottages were built on these tiny lots. Each had a deed for the use of “Community Beach”, which is still surrounded by these teeny houses on postage stamp sized lots. The only private beach left on Cobbett’s Pond is Community Beach. 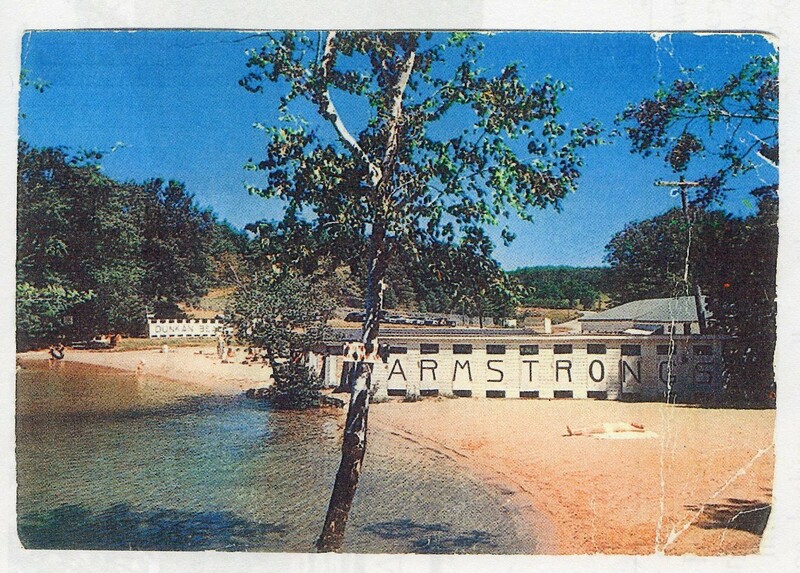 Hadley’s Beach became the public beach for Windham residents, Dunkan’s Beach and Armstrong Beach are now the waterfront area of the Castleton Function Hall, which is today’s version of the old Dance Halls where people gathered to listen to music and celebrate. Many of the tour participants reminisced about proms and weddings at Castleton, and the older participants told stories about the Dance Halls, before and after World War II. The Windham Historical Society Mystery Tour is always a fun time. Don’t miss it next summer. I wonder what fun theme they’ll think of next? I wish more towns did things like this. Maybe they do and I'm not finding them until after the fact. It sound like it was a great time. I know I enjoyed learning about Hopkinton from their Cemetery Walk. It brought history to life with people portraying their ancestors. Thanks for the stories and descriptions and photos. It all remind me how much I used to like family trips to the lake, and the "dance halls" at camp -- when the boys' camp visited the girls' camp, for example. And especially the "swimming holes" where you swing out on the end of a rope and then drop into the water. We need to bring those back! That, I could do. Windsurfing . . . not so much. Who are you calling a “Huckster”? Are you a descendant of Percy Emmons Woodward? An Airplane Company in World War I Era Boston?